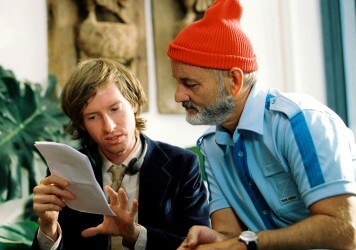 A small, perfectly-formed Christmas bauble is delivered by express train care of American director Wes Anderson. This delightful miniature made for the clothing brand H&M sees the maker of Rushmore, The Royal Tenenbaums and The Grand Budapest Hotel flexing his commercial muscles to filter his unique style into a compelling sales pitch. He ushers in some of his celebrity pals, including Adrien Brody, and sends them on a snow-swept train journey which, at one point, transforms a the corridor of a sleeper car into an ad hoc catwalk. For those counting the days until Anderson’s forthcoming animated feature, known only as a “dog-based” story, this should very much ease the pain. Even making adverts, his minutely choreographed tracking shots are still to die for. The longtime collaborators will team up on a stop-motion animation in the vein of Fantastic Mr Fox. From Bottle Rocket to The Grand Budapest Hotel, find out which of the director’s eight features came out on top in our scientific* survey. The inimitable writer/director throws open the doors to The Grand Budapest Hotel.